SKU: 301. 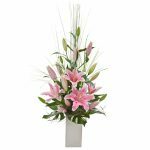 Categories: Arrangement, Birthday & Special Occasions. Berry Delight is a dramatic gift suitable for almost any occasion. 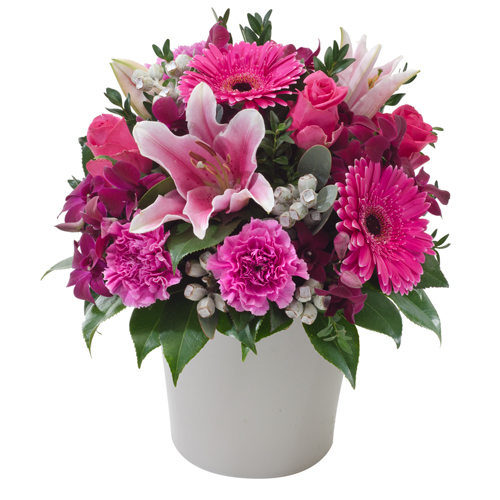 This striking arrangement pulls together this season’s best flowers in vivid pinks and greens presented in a white ceramic pot.